Or closed, but we’re not talking about zippers, it’s a great design trend that is stylish and – wait for it… practical! Barn Doors in residential homes used to be a solution for small spaces when swing space for a conventional door was not possible. However, now barn doors are turning up all over the house and not limited to the rustic/reclaimed look that once defined the feature. The placement and style of barn doors is only limited by your imagination. Not only are there hundreds of different styles to choose from, the hardware options available are almost look choosing a piece of jewellery. You can choose a sleek modern look, re-purpose antique doors or have doors specially made to fit the architectural elements in your new home build or remodel. We have used barn doors several times in our South Tampa remodels – from sleek and contemporary to re-purposing antique doors. From a past remodel project. 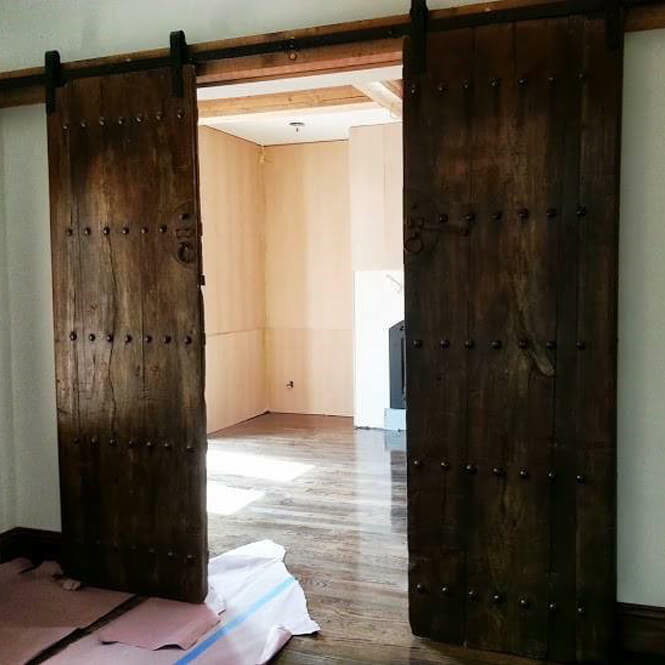 We used the customer’s doors that they purchased while living abroad.